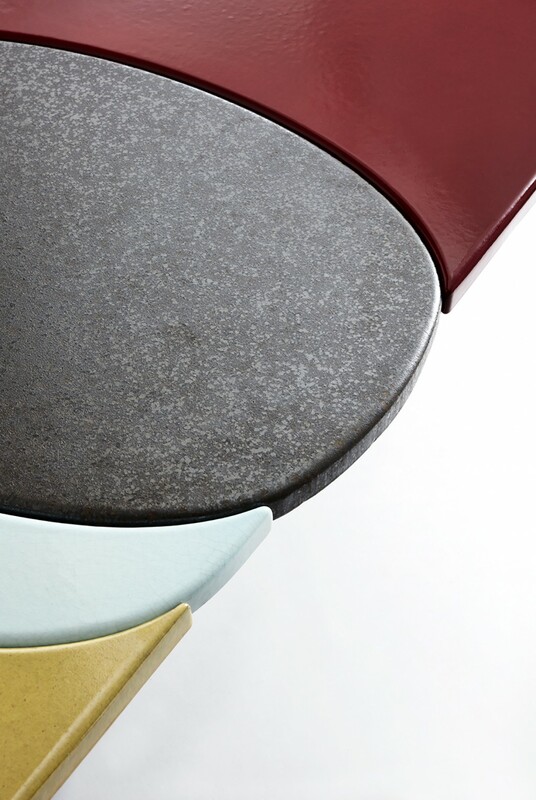 This impressively solid outdoor table is produced by Made a Mano from Sicilian lavastone sourced from Etna, the active volcano only 60km from their workshop. 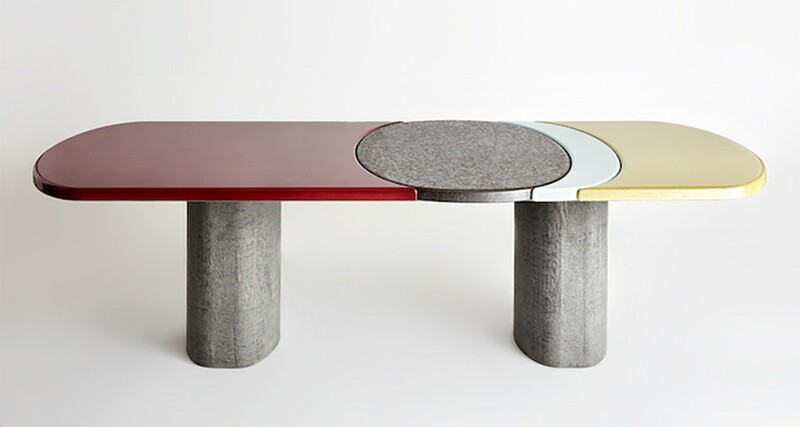 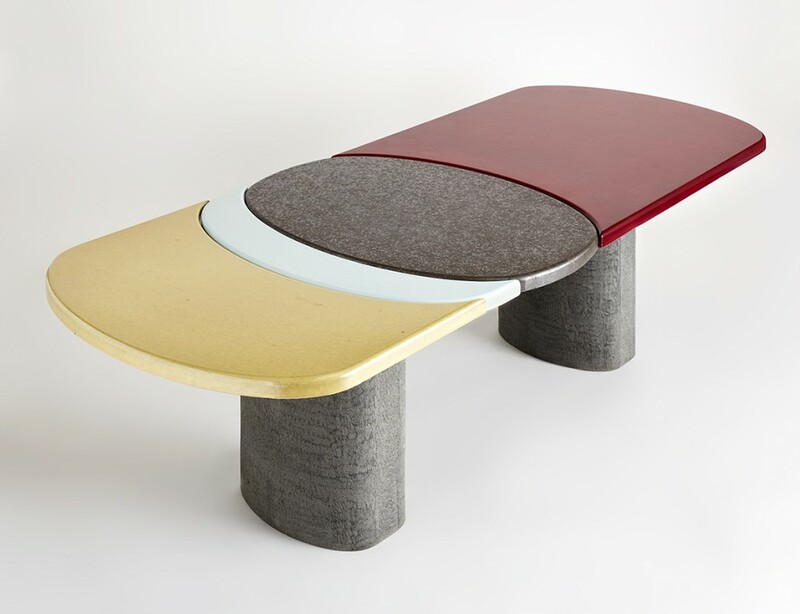 Mounted on a steel frame, the tabletop is constructed of four panels, glazed like ceramics in colored pigments that evoke the earthy origins of the stone. 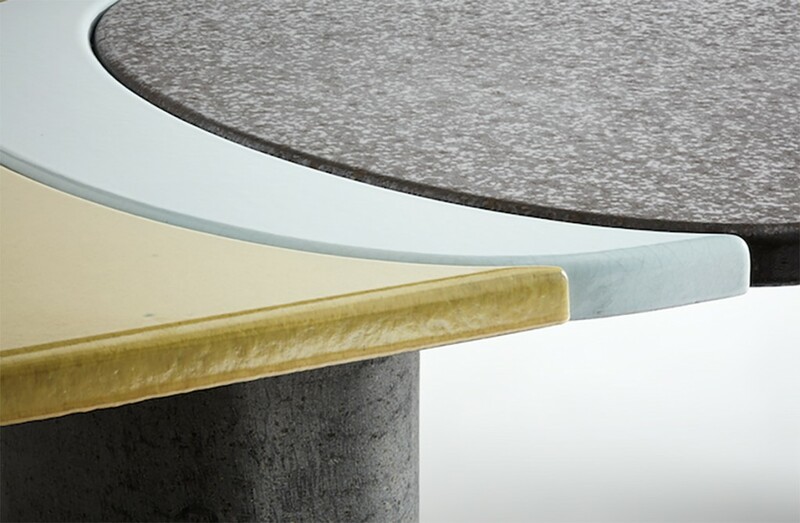 Reflecting Pöppler’s signature gently rounded shapes, the table top design features a “ripple effect”, suggesting the circle of waves fanning out from a pebble tossed in a pond.